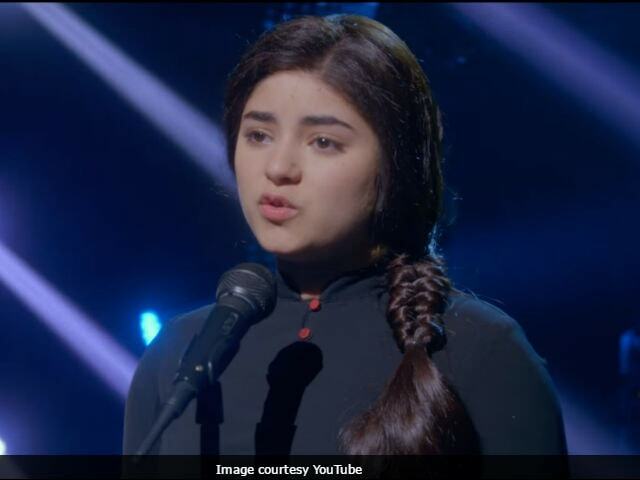 The first song of Aamir Khan and Zaira Wasim's Secret Superstar has finally been unveiled by the makers of the film. The song, titled Main Kaun Hoon, shows Zaira, who is an aspiring singer in the film, recording her first YouTube video. Before she begins recording, she tries to disclose her name but hesitates and says, "Main aapko apna naam nahi bata sakti." The three-minute song shows how Zaira's character in the film is trying to create her own identity and fulfill her dreams. Main Kaun Hoon has been sung by Meghna Mishra. The lyrics of the song have been written by Kausar Munir and Amit Trivedi has composed the music. Secret Superstar is Zaira Wasim's second film with Aamir Khan after 2016 movie Dangal. In the Nitesh Tiwari-directed film, she played the younger version of wrestler Geeta Phogat. Aamir portrayed the role of Haryanvi wrestler Mahavir Singh Phogat. Zaira won the National Award for Best Supporting Actress for her performance in Dangal. Secret Superstar has been directed by Advait Chandan. Aamir Khan and his wife Kiran Rao have produced the film. Secret Superstar is scheduled to release in theatres on Diwali.